In butter tarts, raisins or no raisins? "No raisins." Wendy McIsaac describes herself as a "poetry maker, booty shaker, and midnight baker." The Cape Breton native has been baking for almost as long she can remember. Growing up in a big family meant that her mother was almost always in the kitchen. "I loved watching my mother make something out of nothing almost every day," says Wendy. "I was a curious child. I was always asking questions: 'Why do you soften the butter? Why do you put a piece of towel around the cake pan? Why do you put a toothpick in the cake? She was never too busy to tell me and, even more importantly, never too busy to show me, or let me bake along with her." 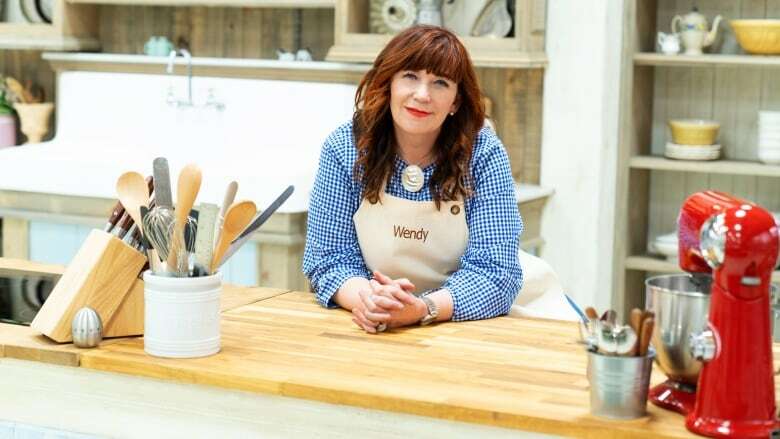 Wendy loves the entire baking process, from researching new recipes to scraping and folding dough. "Baking, for me, is the perfect blend of science and sensuality in its truest sense. It's chemistry combined with creativity, and it requires care. Baking demands precision and it teaches patience. I'm not a particularly patient person by nature, so it's a passion that instructs me as much as it enamours me." But baking isn't the only thing Wendy does in the kitchen — her all-night East Coast kitchen parties are the stuff of legend.